$47.5 Lansky Knife Sharpening System. Only Used A Couple Times. $17.45 LANSKY KNIFE SHARPENERS LDHMD DIAMOND SHARPENING HONE MEDIUM GRIT MADE IN USA!!! 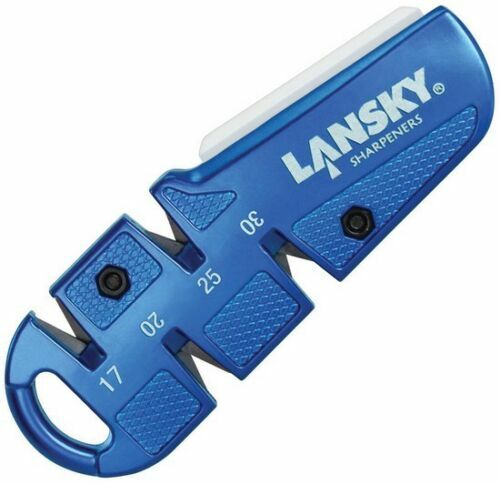 $17.45 LANSKY KNIFE SHARPENERS LDHCR DIAMOND SHARPENING HONE COARSE GRIT USA MADE NEW!! $15.0 Lansky LBS8S Arkansas Bench Stone "USA"
$4.99 Lansky Triangle Sharpener 3"